Global credit rating agency Standard & Poor’s has affirmed the Emirate of Sharjah’s BBB+/A-2 sovereign credit ratings long- and short-term, foreign and local currency, with a stable outlook. The agency also projected a gradual increase in economic growth from 2017 to 2020, supported by growth in the emirate’s construction, tourism and manufacturing sectors. S&P began assigning sovereign credit ratings for the Emirate of Sharjah in 2014 with an A/A-1 long- and short-term foreign and local currency sovereign credit rating and stable outlook, assigning a BBB+/A-2 rating with a stable outlook in February 2017. The agency attributed the lower rating largely to an increase in government debt and slower than expected fiscal consolidation. The stable outlook reflects S&P’s expectation that Sharjah will reduce its government budget deficits in the next two years. 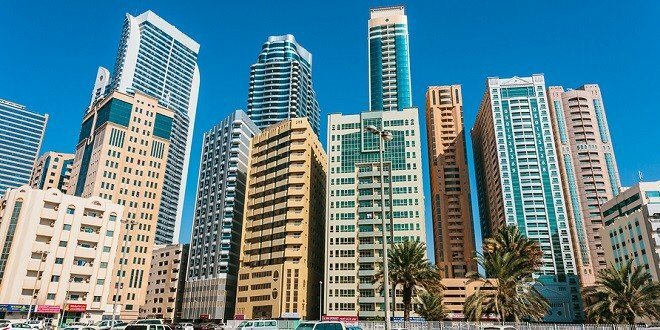 According to this month’s rating review, S&P expects Sharjah’s fiscal deficit to narrow to 1.9 percent of GDP in 2017, compared with a deficit closer to 3 percent of GDP in 2016. The agency also projects government consolidated fiscal revenue to increase to 9.6 percent of GDP (AED 8.8 billion) from 8.4 percent of GDP in 2016, and for revenues to then average 10 percent of GDP over 2018 to 2020. The agency noted that economic activity in Sharjah is supported by a relatively diverse production base with the real estate and business services sector accounting for 22 percent of GDP, manufacturing for 16 percent, and wholesale and retail trade for 12 percent. S&P now expects real GDP growth to average to 2.0-2.5 percent in 2017-2020 (about 4 percent on average in nominal terms). Supporting its projections, S&P expects consumption, investment, construction and tourism to improve and confidence to firm. The expectation of a modest increase in oil prices also supports its projections for Sharjah.